Customer Loyalty is a hard-earned alliance. To gain a flourishing business and a reputation among your competitors, it is critical to meet customer’s expectation and that too with a remarkable quality. In a world where the customers change their priority within minutes, it is essential to maintain the brand loyalty as these are the assets for operating a business in the long run. 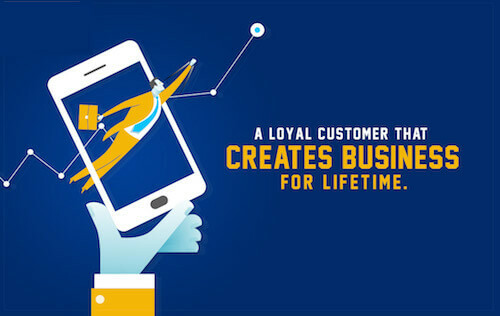 How can loyal customers help your business? Loyal customers are a source of marketing. They spend more on your business, suggest your name to the peers and engage in your business activities more often. But, with thousands of brand in the market and thousands of marketing strategies to attract customers, how would your business attract and gain more customers on the way. The secret lies in the quality customer service that holds the customer’s attraction and let their decision falls in your court. SparkTG understands the value of customer loyalty and even the consequences of losing one. With our state-of-the-art contact center solution, we provide an exceptional call management and analysis solution. Our advanced software system can track the customer experience and checks if there has been any hamper in the customer engagement over time and whether the productivity has declined. Providing great customer service is no longer the job of a single person. It is the collaborated effort of both the agent and the technology where the agent is equally scrutinized over his services duly along with the customer for his experience. It is a well- known fact that customer loyalty depends on a business’ management and service of the call. No customer in today’s date likes delaying and when the time is precious, the businesses should be smart and systematic in managing customers with quick efficiency.